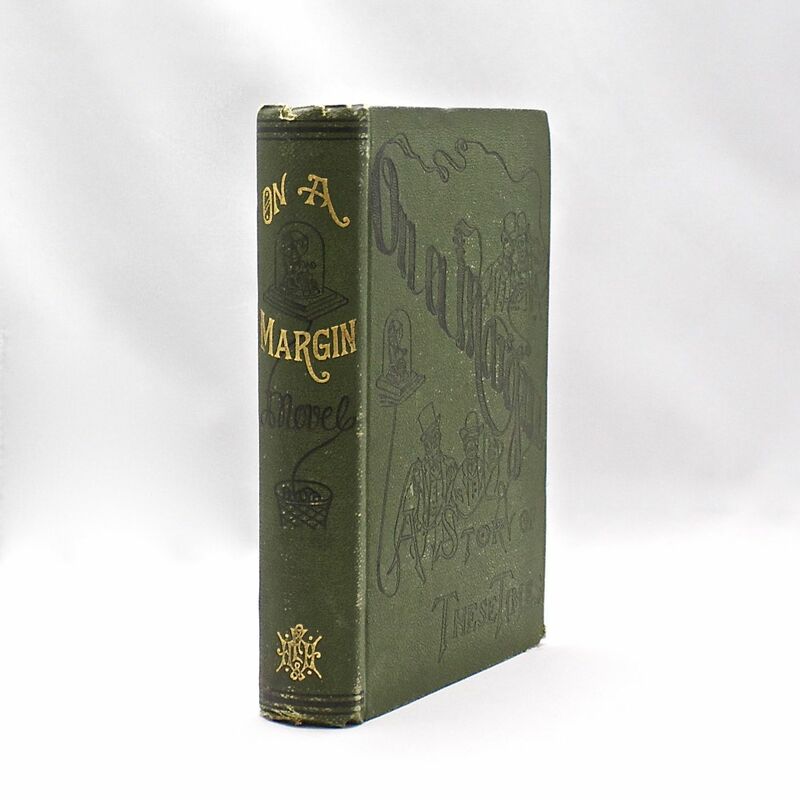 On A Margin - IFA Vintage and Current Book Library - Index Fund Advisors, Inc. Original dark green cloth decorated with four men reading the tape from an old style ticker machine. The ticker tape wraps around the upper cover. The spine is decorated as well with a ticker and the tape basket. The gilt on the spine is bright. The hinges are sound and the pages are clean. Some minor wear to the corners and spine tips. Overall, a very good copy with great looking cover illustration.